Koyaanisqatsi is a little harder to review than most. There are no characters and no dialogue and no blatant plot. It is at times beautiful, at others sad, and at still other times terrifying or disgusting. Koyaanisqatsi is simply a film of the world, her people, and what they have done and will do to perpetuate life. It is moving art; slow, meandering shots of the beautiful California deserts, juxtaposed against the super-fast everyday life at a hot dog packaging plant, transitioning into crowds of people herding in and out of shopping malls like the cattle we can sometimes emulate, and all set to an absolutely haunting Philip Glass score. Though perhaps a hard movie to watch with your dude-bros on a Friday night while sipping some brewskies, Koyaanisqatsi is great for those nights when you are alone and wanting to experience your very own introspective nightmare. Koyaanisqatsi will make you feel like a piece of trash for doing nothing else other than waking up a human being this morning. What are you doing to this planet and your fellow man, pitiful human?! Made in 1982, what better time to start thinking about what you’re doing to yourself and the earth with that Aqua Net hairspray and that eightball of coke, dude? Though it will most likely induce vomiting as penance for all the terrible things mankind has done throughout the ages and cause you to get stuck under a coffee table in fear for your life, your future, and your sanity, CultFlicks.net recommends tea with milk and four sugar cubes of lysergic acid diethylamide. Each movie in this trilogy was produced by a different pretentious director, Koyaanisqatsi by Francis Ford Coppola, of Dementia 13 fame. Abandoned tenement housing will make even the biggest galoot cry like a premature crack baby. Old men and Vegas showgirls are the most disgusting people you will ever be forced to stare at for five minutes a stretch. Philip Glass is a God. Repetitive tasks played at high speeds induces self-sacrificial vomiting. Some movies are equally good while sober and while in altered states of consciousness. 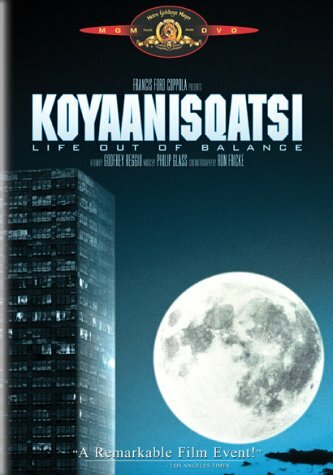 Koyaanisqatsi gets five stars for shutting the Hell up for an hour and a half. God! I am sitting here, stone cold sober, watching your clip, thinking very seriously about killing myself or someone else. Your recommending this be seen while under the influence of LSD is both irresponsible, evil and quite brilliant. 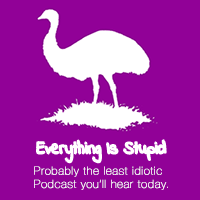 However, I would suggest that Cultflicks.net post some sort of disclaimer to prevent any liability in the near certain deaths or permanent psychic schisms that will come of your suggestions. Yeah, I doubt it will matter, as there is no recipe for it in the “Poison” section, LOL. Am I watching an “Orbital” video? well that was insane. going to torrent it now and hopefully watch it tonight. It makes me want to vomit and purge humanity.